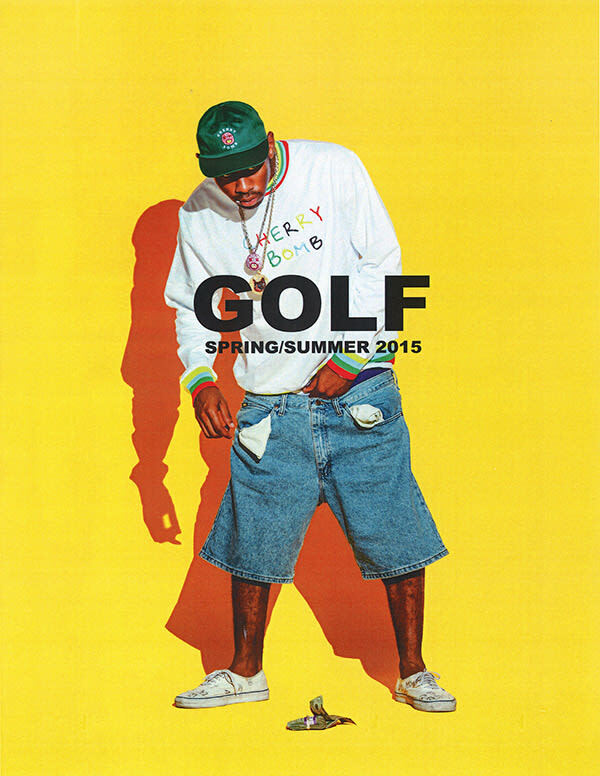 Odd Future&apos;s Golf Wang and Tyler, The Creator are back with another completely unique lookbook and collection for Spring/Summer 2015. 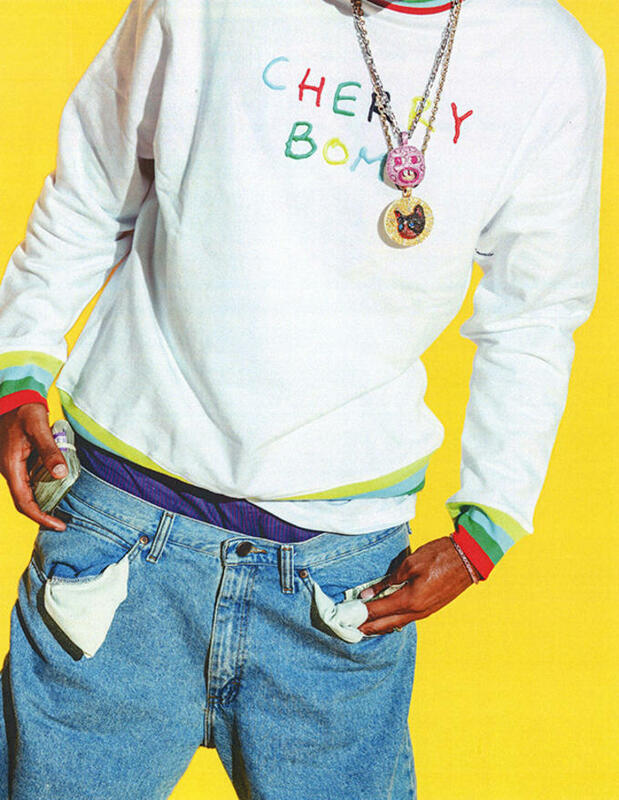 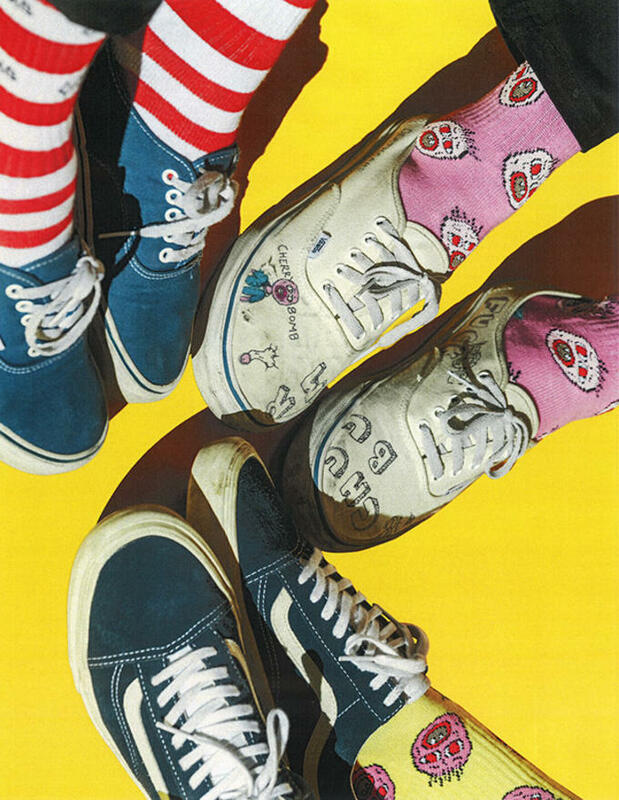 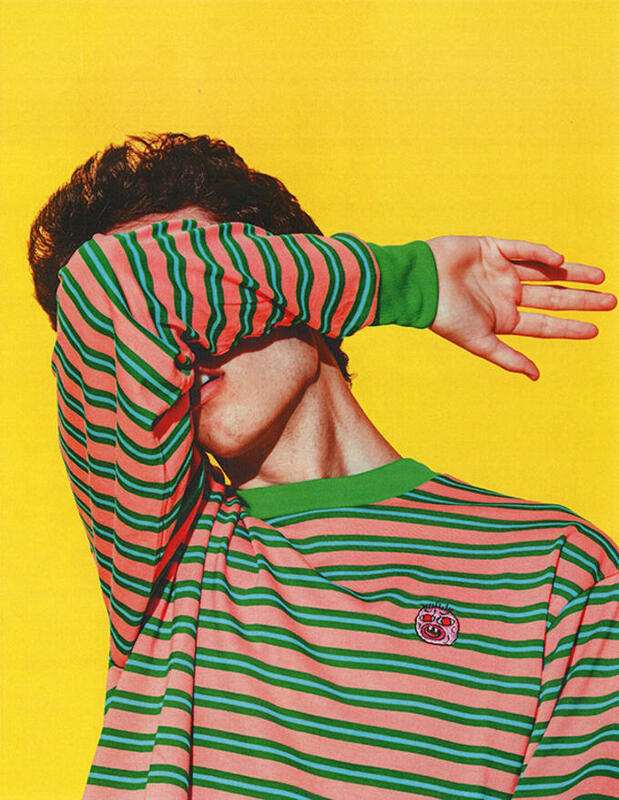 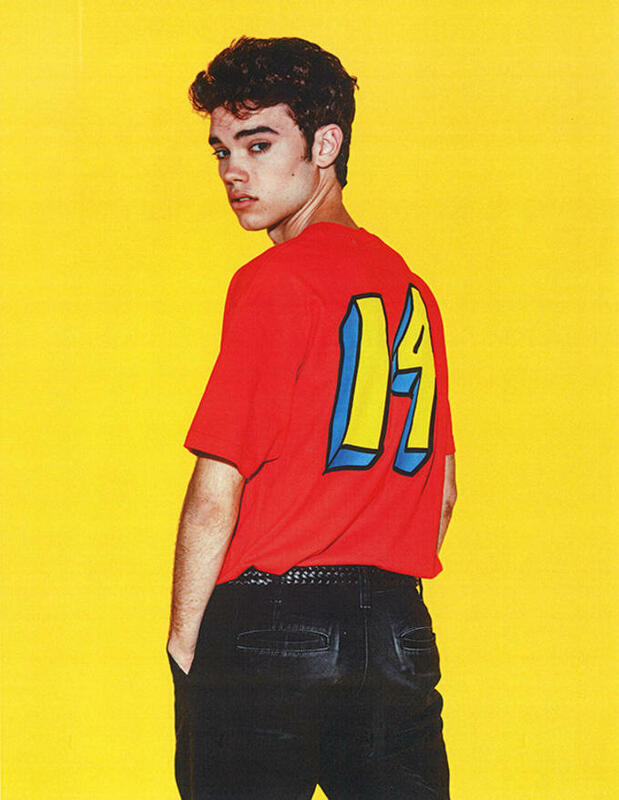 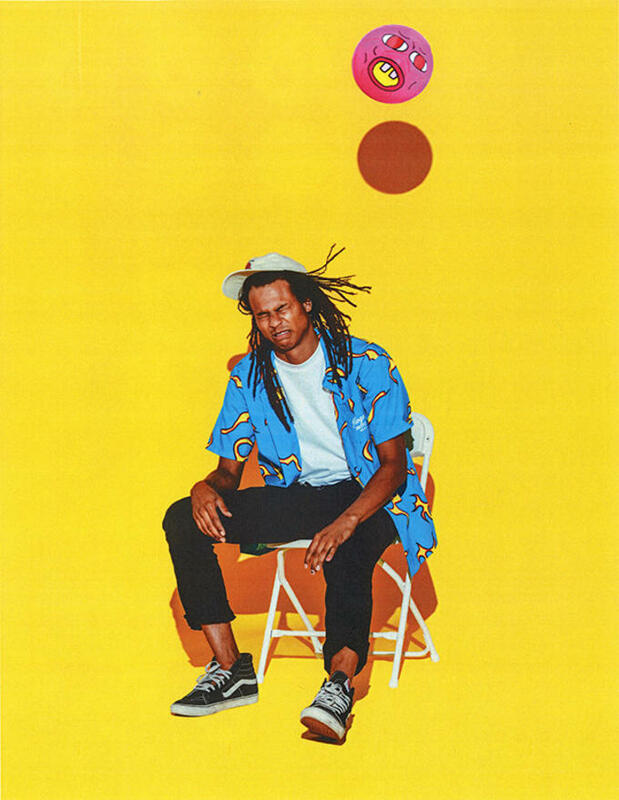 Cast against a bright yellow background, the lookbook promotes Tyler&apos;s latest album Cherry Bomb with a variety of rainbow-colored prints referencing it. 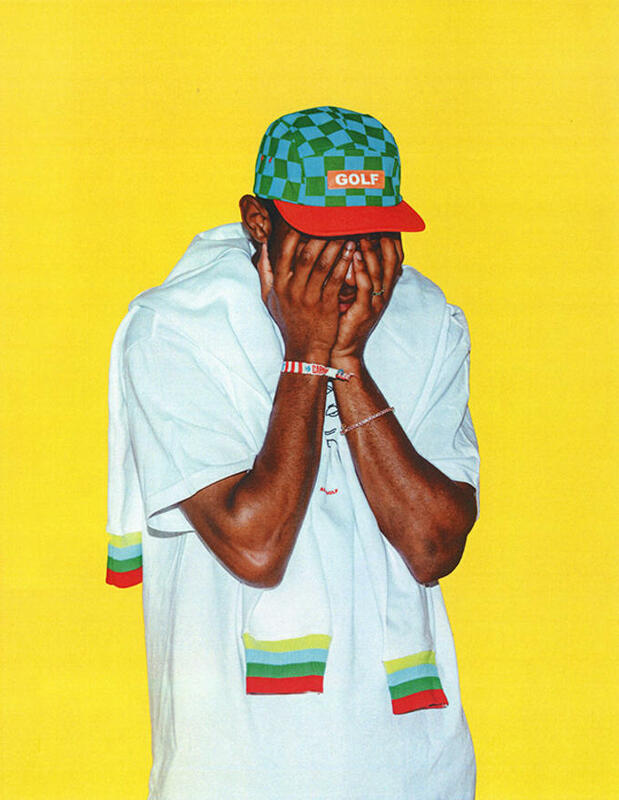 Tyler and the collective also model tees, polos, shirts, and sweaters featuring bizarre graphics, including a black cartoon face wearing a white hood, an even-more-demented-than-usual donut logo, and a NSFW image we couldn&apos;t even show here that references a lewd advertisement. 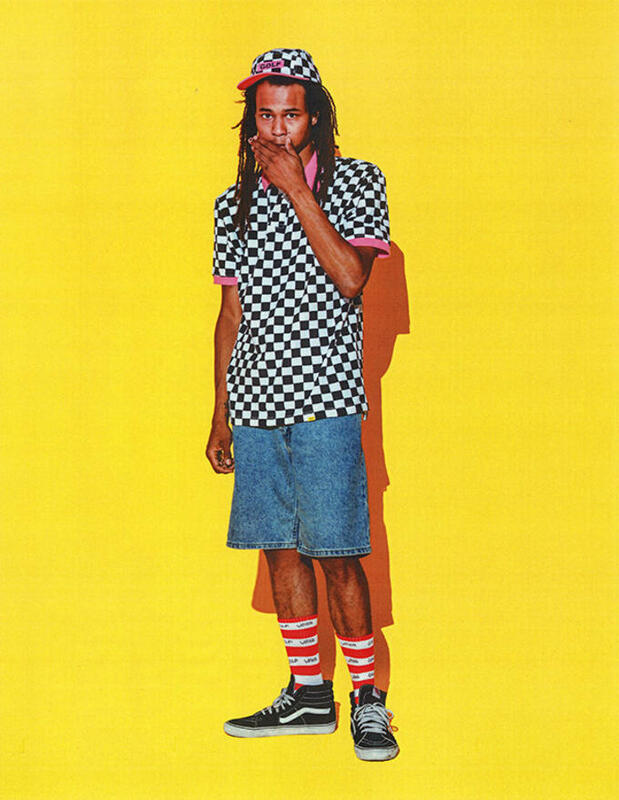 The rest of the garments come complete with bold patterns, like vertical and horizontal stripes, and a loud check pattern. 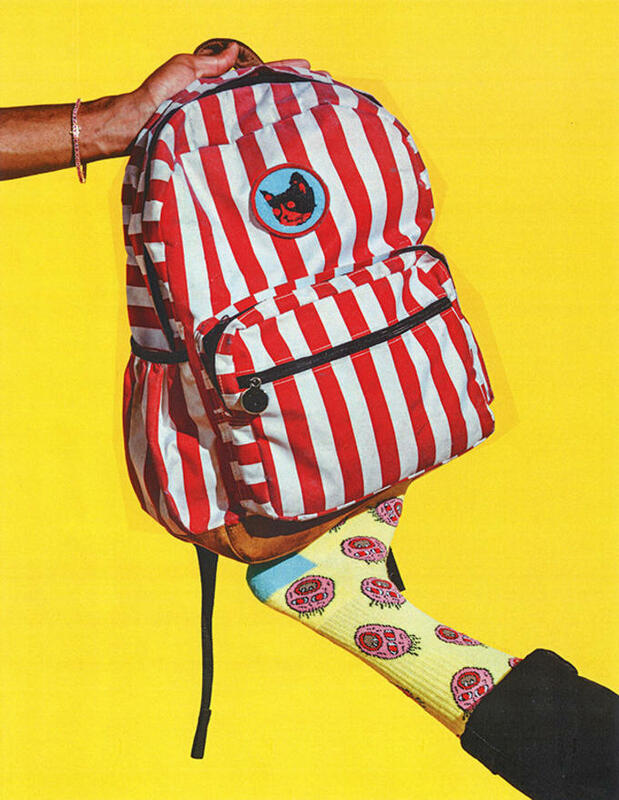 The collection also includes accessories, like a notebook, skate deck, towel, backpack, socks, and hats. 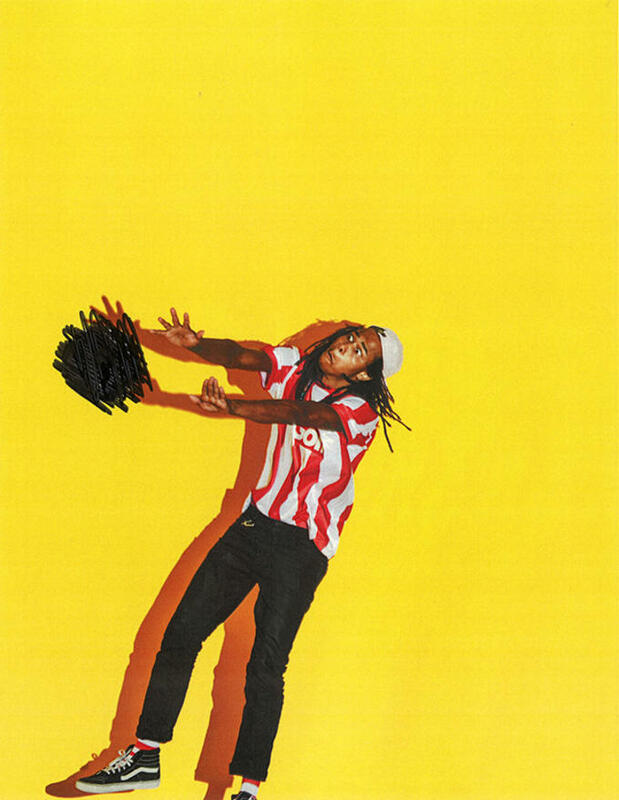 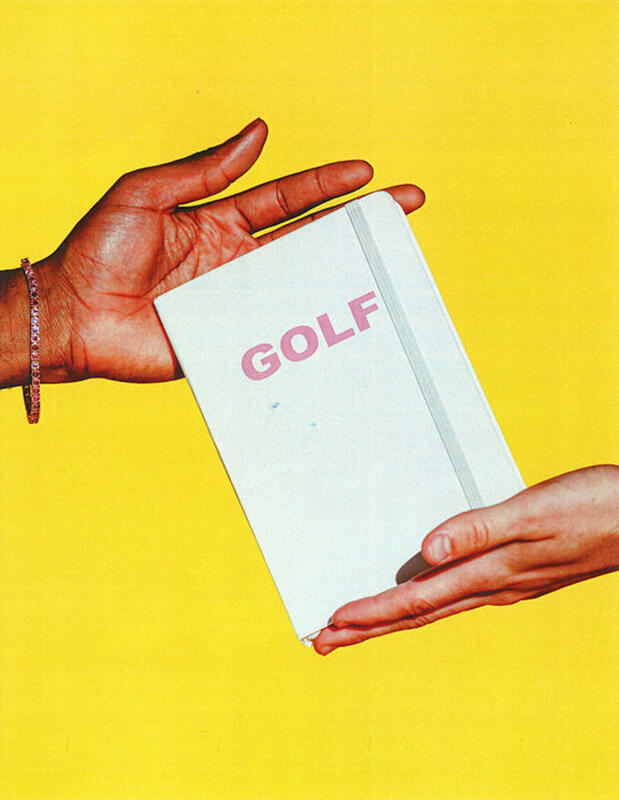 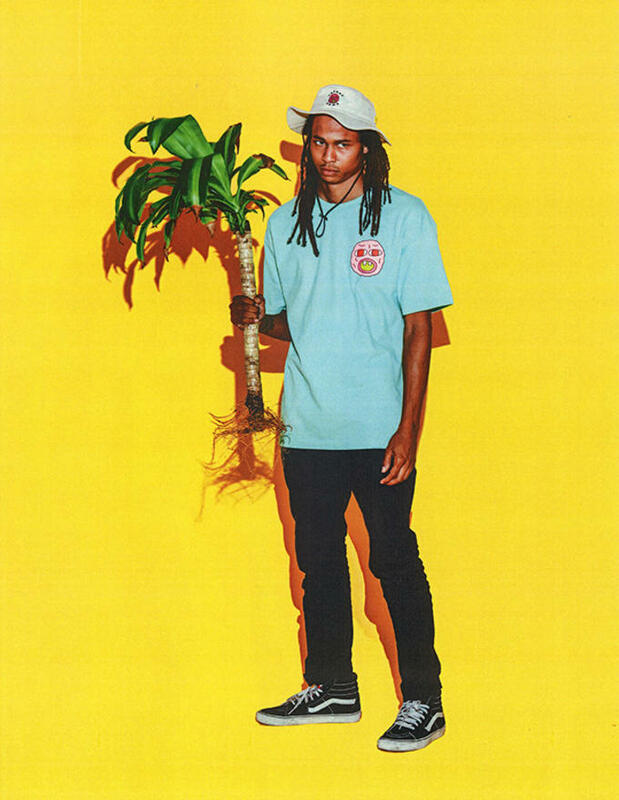 You can check out the lookbook below, and look out for the collection to drop on Golf Wang&apos;s website soon. 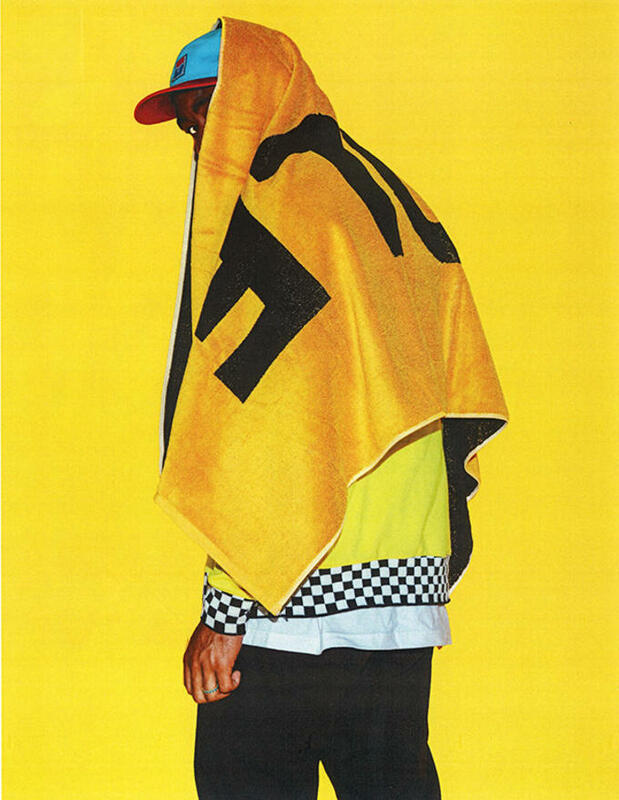 Just hope for Tyler&apos;s sake that no celebrities decide to cop anything.